Hi my name is Jacqui. I live on a property just outside the little country town of Dulacca, in south west Queensland. My hubby works on the land, while I teach at our local primary school three days per week, as well as looking after my four boisterous sons. My boys are aged 8, 6, 4 and 14 months. I love to find time to be creative and Millie & Maude is my little outlet. My workspace is currently the end of our dining room table. I have some space and displays set up with my work nearby, so I can grab what I need when I have a spare hour or two to create. This time usually falls around nap time or after the boys have gone to bed for the night. On the days that I am not working or running boys to football or swimming, I like find time to create worthwhile pieces that my customers will appreciate. I get my inspiration from a number of sources. Pinterest and Instagram are my favourite sites to gain ideas and look at current trends in jewellery design and home styling. I am loving cool summer tones and pastel colours at the moment. I also love a burst of colour from things like watermelons and flamingoes. Every time I come home from town, I’ve usually got a home style magazine that I like to flip through to gain ideas on what colour combinations could work in my creations. Ever since I graduated from university and became a teacher, I have dabbled in making jewellery and creating pieces that wouldn’t break my budget, but could be used to jazz up my outifts. I’ve always loved accessories, in particular, shoes and jewellery. A few years ago I had a handstamped jewellery business. I set up my Made It shop then, but only dabbled in listing a few of my pieces. 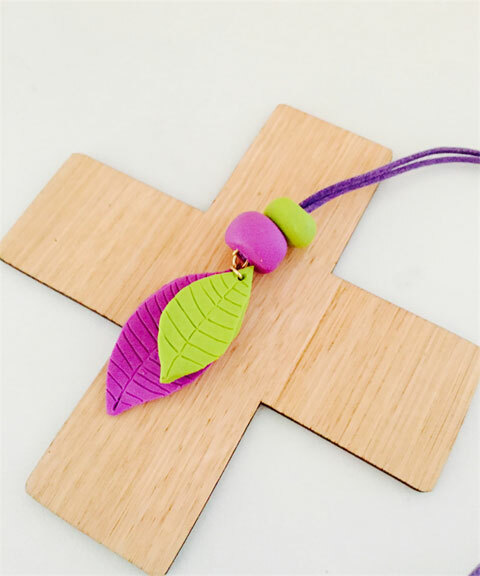 Earlier this year, while I was on maternity leave with my fourth son, polymer clay jewellery caught my attention. 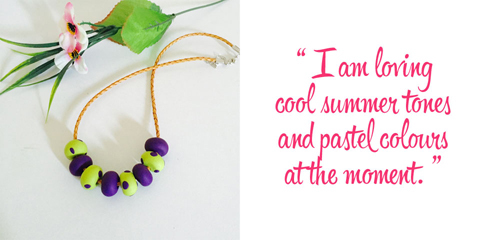 I loved the versatility of it and the fact that I could literally make beads from scratch. 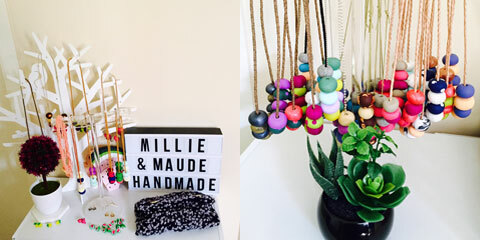 So I revamped my Made It shop and went to a few local markets, and Millie & Maude started to evolve. 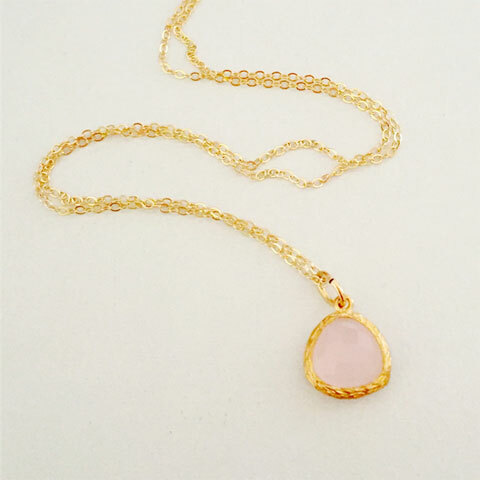 I started to make sales in my Made It shop and have built a group of returning customers. I have since also started to make handpoured, scented soy wax candles and I have just taught myself to crochet. 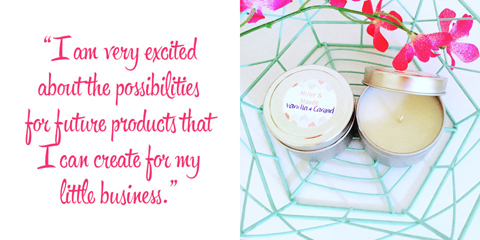 I am very excited about the possibilities for future products that I can create for my little business. 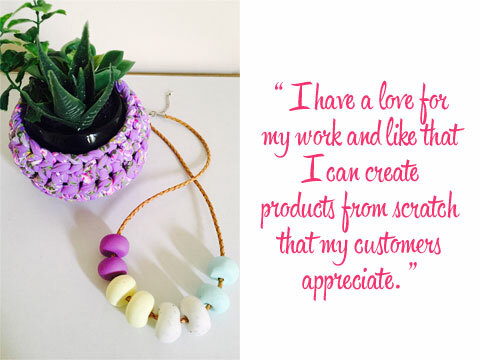 Being a handmade seller is very important to me. I have a love for my work and like that I can create products from scratch that my customers appreciate. When I get the chance to attend local markets, I often get complimentary comments from people about the fact that my work and products are all handmade. People appreciate the effort you have gone to and like to show their support. My endeavours are a way of helping my family and allowing me to have a creative, feminine outlet in a house full of boys. 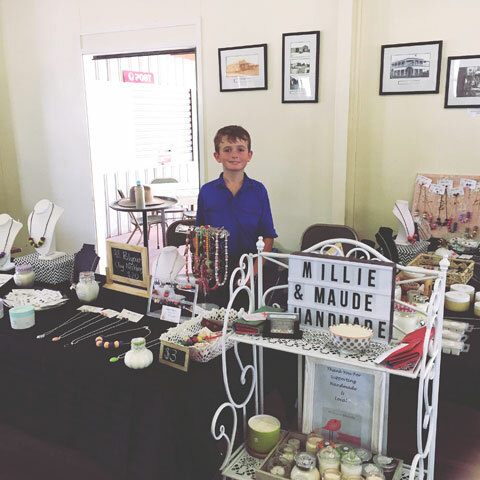 Since becoming an active part of the Made It community this year, I have formed great supportive relationships with other sellers. I have bought some lovely handmade items for friends and relatives, and other sellers have made purchases from my store as well. I follow a lot of my fellow makers on social media and they in turn follow and support me in my endeavours. 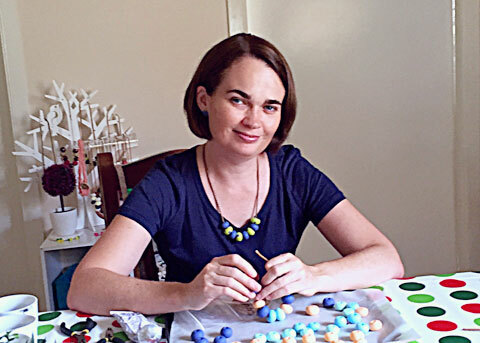 I look forward to continuing to list my creations on Made It and supporting Aussie handmade sellers.